I was not fortunate enough to be born into a family filled with great cooks, it was quite the opposite. My parents relied heavily on foods that came in a box or bag with all the ingredients included and directions on the back, so most of my meals came from the frozen food aisle at my local grocery store. I had no complaints though because I have the simplest taste buds known to man and had no desire for my parents to venture into the unknown of home cooked meals, coming home to see that Stouffer’s Lasagna was on the menu for dinner AGAIN did not bother me at all. This assignment will hopefully help me to not end up like my parents in the cooking department. I can realize that cooking isn’t that hard after all and I will do it more often, discovering more of the world of Italian food (my favorite type of food) at the same time. Italians win my vote for “best type of cuisine” simply based on the fact that they created pizza. “It can’t possibly get better than that,” you might say. Well it does, because on top of that they brought us a plethora of delicious pasta dishes with great names like “Fettuccine Alfredo” and “Spaghetti”. Dishes that are not only fun to eat but also have names that are fun to say. Where do I sign up? Like I said earlier, I am a very picky eater and do not take chances when it comes to eating, so the fact that I like a good majority of Italian food is a miracle and that’s why I love it so much. Italian food switches it up, but not too much. For example, they saw that pizza was a hit so they made things like the Calzone and the Panzerotti, which are basically closed versions of the pizza. They changed up the presentation of the food, but kept the same great taste. I wanted to make a pizza at first, because I knew the people I’m making it for would love it. Then I realized I didn’t have a pizza stone to make the pizza, so I remembered the closed versions of the pizza. 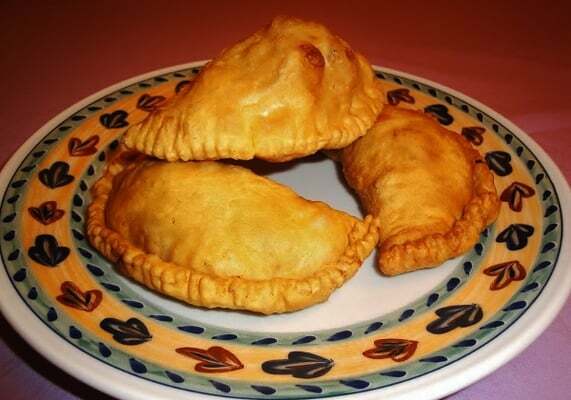 After doing some research I was in between making the Calzone or the Panzerotti, both made with pizza dough and often filled with tomatoes and cheese (my favorites). They do not have complicated ingredients or an overload of ingredients, which I think can truly ruin a dish. Ultimately, I chose to make the Panzerotti because I liked the fact that it was smaller than the Calzone and I thought the people I’m making it for would like it better also. Hopefully I can represent home cooked Italian food well and make it taste as good as the Stouffer’s Lasagna my parents loved to make. I’m in the same situation coming from a family missing the “cooking gene” and I have become a picky eater as well! Loved the last hook you made in the last paragraph. Definitely looking forward to seeing how your creation turns out! Nice flow of writing. I liked the opening and how you wrote about your family and what you grew up with. I also really like the pictures, it made me crave Italian food. I think this post was well written and easy to follow through.